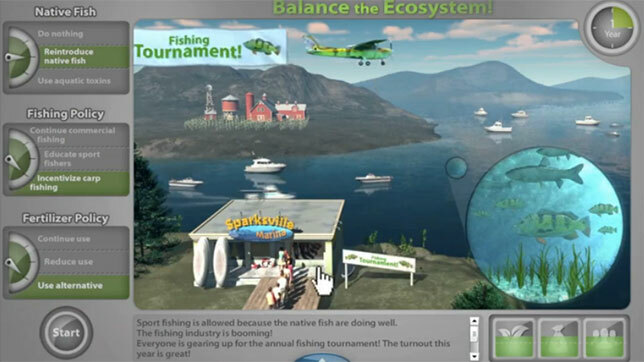 To better engage its online learners, Arizona State University is piloting game-based simulations from Toolwire in its ASU Online environmental science courses. In five story-based games, students "will take on several leadership roles, with increasing responsibility, to help a community address challenging environmental and sustainability issues," according to a press release. Interactive features include the ability to download digital learning objects, take notes and respond to questions using tools in the game such as mobile phones and e-mails. "I'm excited by how these authentic experiences will add a 'human element' to the learning process," said project lead Tahnja Wilson, senior manager, strategic design initiatives, EdPlus at ASU, in a prepared statement. "The interactive features will be a great complement to the other course components." The games utilize a "causality engine" that was co-created with ASU's Ira A. Fulton Schools of Engineering, which challenges students to "think critically about a series of real-life environmental dilemmas." With no "right" or "wrong" answers, students weigh the effects of their choices on the environment and the community. At the end of each module, a "Performance Summary" dashboard for both students and instructors provides metrics on the quality of student decisions — based on how they impacted environmental, economic and social sustainability — as well as students' efforts to explore and find resources to inform their decisions. "We put a great deal of consideration into our online courses to ensure they're interesting and engaging for online learners," said Frank Timmes, professor in the School of Earth and Space Exploration, in a press release. "ASU is committed to integrating experiential learning opportunities into our online programs through game-based learning and simulation tools that provide students with real-world, hands-on skills."